Hi! 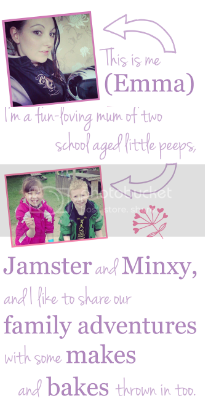 I’m Grace, I’m a mum blogger who enjoys spending time getting creative and having fun with the food I make for my 2 boys. I blog over at Eats Amazing, and I am probably best known for the creative bento-style lunches that I make daily for my older son. One of the comments that I receive often when people see my son’s lunches is “how do you find time to make them?”, but actually, contrary to popular opinion, bento lunches really don’t have to be time-consuming works of art. There are lots of little things that you can do to add a bit of fun to a lunch box without spending hours in the kitchen, and I’m going to share a few of those tips with you in this post. Most people will have a few cookie cutters lying around in a kitchen draw somewhere, and if you’re willing to invade the toy-box, maybe even some playdough cutters too (don’t forget to give them a good wash before use on food of course!). Use them to cut sandwiches into fun shapes, or use smaller cutters on fruit, vegetables, cheese or ham. In the garden themed lunch below I used cookie cutters to make flower sandwiches, mini cutters to make cucumber trees (with the addition of food picks for the trunks) and melon leaves. The leaves were made with plunger cutters, which work particularly well on melon. If you’re wondering what to do with the crusts that are left after cutting out shaped sandwiches – I whizz mine up to make breadcrumbs and then freeze them until I need them for a meal or recipe. I use cupcake cases all the time in my lunches to separate foods, help with portion control and add a splash of extra colour to the lunch. I usually use the reusable silicone ones because they are more eco-friendly, readily available in all shades of the rainbow, and you can find fun shapes too, but if you have paper ones to use up they work just as well. If you're making lunch to be eaten at home, try serving it up in a muffin tin, with or without cupcake cases for a fun alternative to a plate! You may be having images of those incredible carved melons that seem to appear periodically on Facebook and Pinterest, but carving a simple shape or message into a piece of fruit is quicker and easier than you might think! Use a mini cutter and/or a small sharp knife to cut designs into an apple (make sure you dip all cut edges of apple into lemon or orange juice to prevent browning), or gently cut designs into the skin of a banana - by lunch time the cuts will have gone brown, leaving a pretty pattern or message. 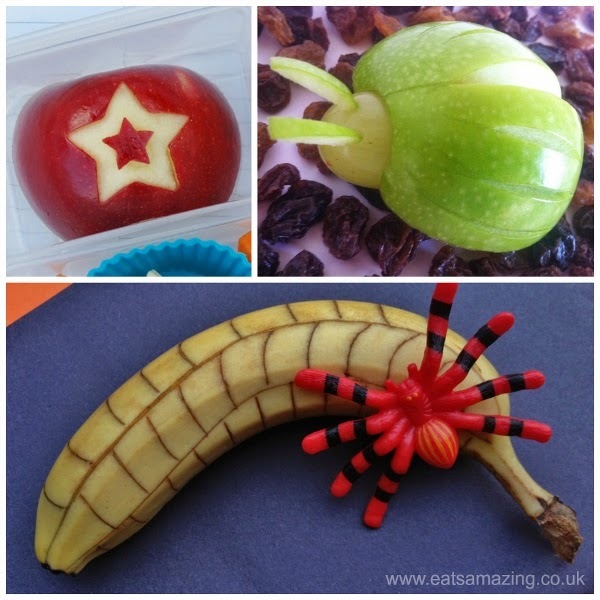 In the images below I cut a star into an apple using mini cutters, turned half an apple into a bug with nothing but a sharp knife (plus a grape head!) and carved a spider-web pattern into a banana. My son loves his yogurt, and one of the ways I like to serve it up is to freeze it into fun shapes using silicone moulds (IKEA have a few different shaped ice-cube trays that are perfect for this!). I always make sure that frozen yogurt is in a separate leak-proof compartment to avoid it spoiling the rest of the lunch if it melts more than I'd expect, but usually it stays cool enough to keep the shapes whilst being soft enough to eat by lunchtime. I usually pack mini gel ice packs above and below the lunch box which helps to keep it cool. You can freeze the shapes in advance and keep a stock of them in the freezer, of just pop them in to freeze the night before you want to use them. You can use any round shape to add eyes to pretty much any object to make an instant funny face! I had a quick look through my photo archive and found many, many sandwich faces. 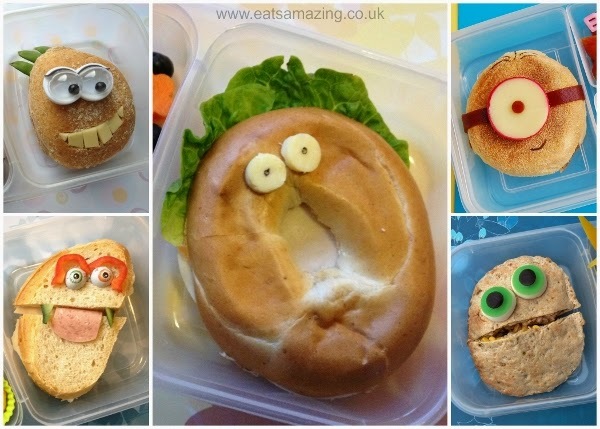 I gathered a few together (see below) - there are chocolate eyeballs with red pepper eyebrows on a sandwich, plastic eyes from a playdough set stuck in a roll, circles cut from cheddar cheese on a bagel, a Babybel eye (I split the Babybel in half) on a minion muffin and jelly sweet eyes on a stuffed pitta bread. 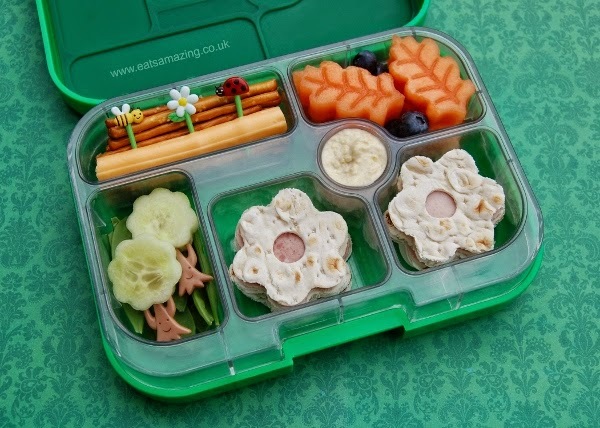 Bento-style lunches are becoming ever more popular here in the UK, and the fun tools and accessories that are specially designed for children’s bento lunches are also becoming more readily available (including from the Eats Amazing Shop). Accessories such as food picks, silicone dividers and mini animal shaped containers can make a lunch instantly more fun with minimal effort. 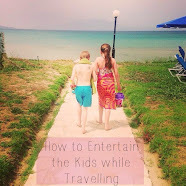 I hope I've managed to give you a few fun but easy to do ideas in this post, it really is simple to get creative with food, and children love it! I can’t promise your picky eater will magically start eating everything in sight, but I will say that by making food fun, you bring a lot more pleasure to the experience, which can help enormously with those meal time battles. 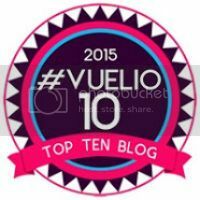 Thank you very much to Emma for having me here on your blog! LOVE these ideas. I had no idea it could be so simple! So amazing - and Grace makes it look and sound so simple. these look so great! I'm sure they'd brighten up any lunch box! What a great selection of ideas on how to make food fun! I love all the eyes "creatures"
Very creative and a lot of fun. I'd be worried about setting a day to day standard - I don't think I could do that every day. These are such cute ideas! And sure to make the pickiest kid to eat their lunch! What amazing idea! I absolutely love those frozen yoghurt shapes - definitely going to give those a go!